If you scroll through some of our recipes you will see that this is in fact our second braaied yellowtail recipe. What is the difference you may ask? 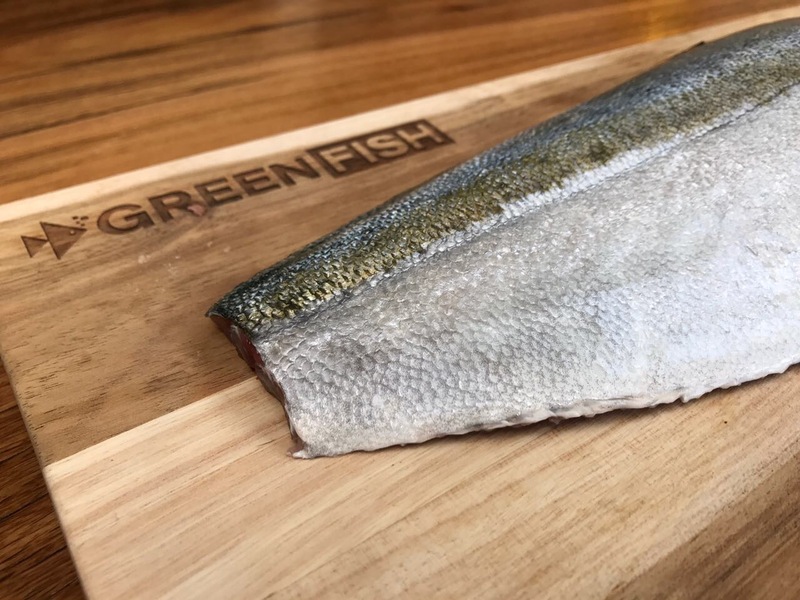 In our first recipe we gave you details on cooking a delicious yellowtail fillet covered in red onion, garlic, lemon and coriander. 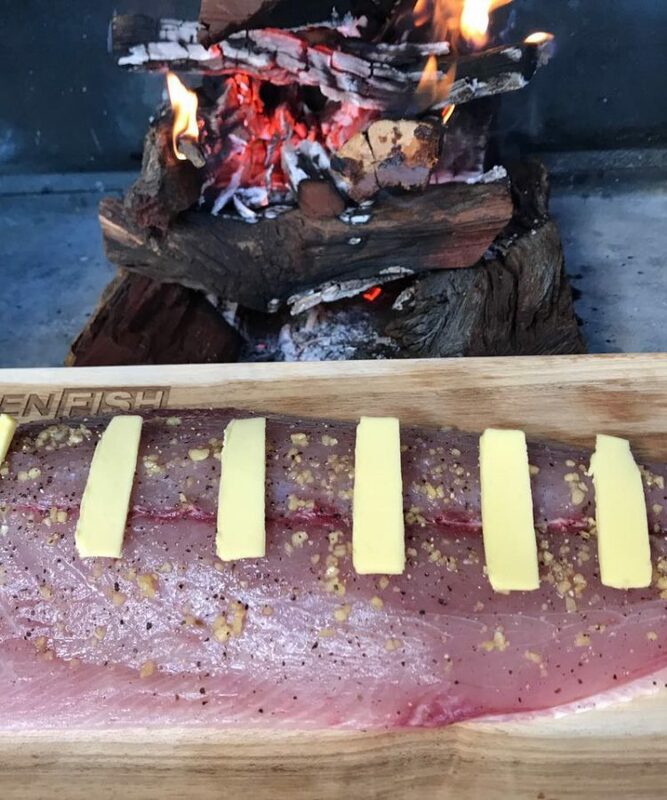 We used the braai more as an oven, with the fish being wrapped in tinfoil, but still giving you the option of the “gees” that an open fire gives us South Africans. 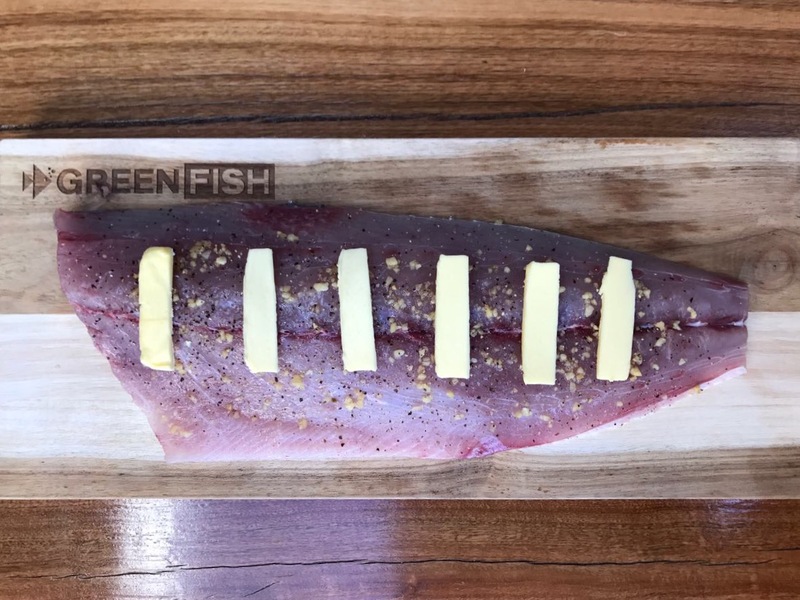 This recipe is quite different in that the fish is placed directly on the grid and absorbs all those fabulous smoky braai flavours. 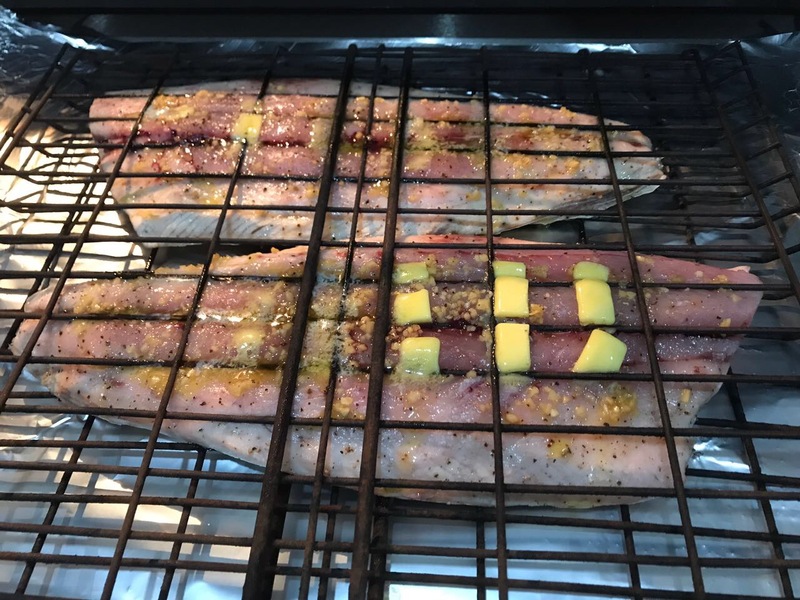 You will need a braai grid which can open and close with a handle so that you can flip the fish over easily. 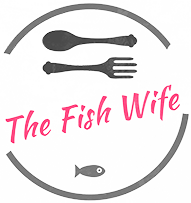 Leaving the scales on the skin can help prevent the fish from sticking to the grid but make a note to remove the skin before eating. 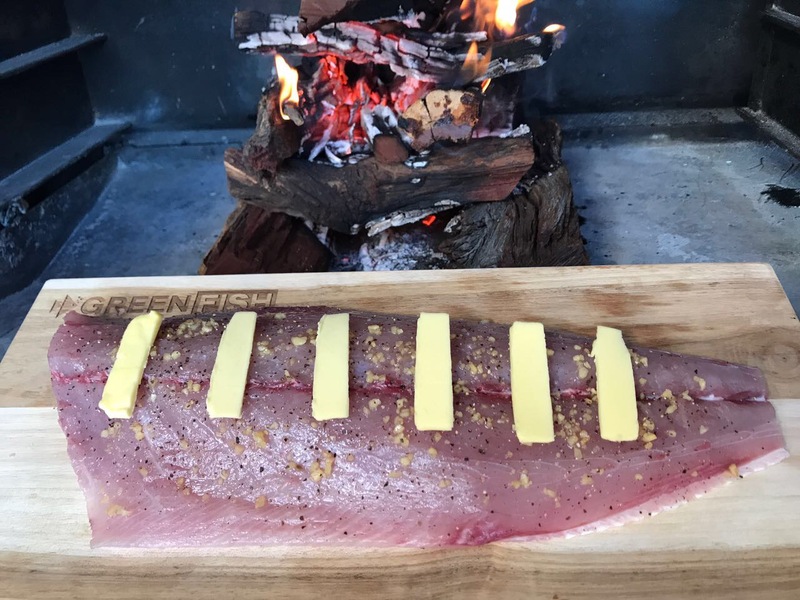 Place the fillet on the braai grid skin side down and season with salt and pepper. Spread a few teaspoons of crushed garlic over the fillet and place a couple of knobs of butter on top. Place the grid high above the coals on a medium heat and braai skin side down. Cooking on a medium heat high above the coals will prevent the skin from burning. 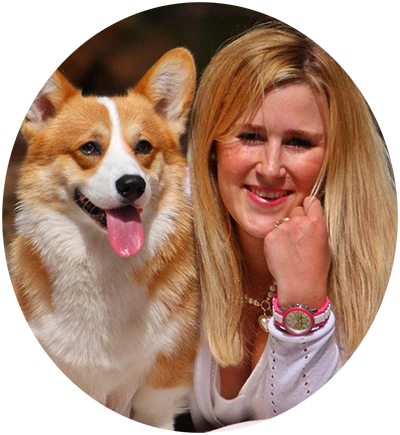 You will see the meat change from translucent pink to white. Cook until you can see this colour change has just gone past half way (this process will take approximately 15 -18 minutes). Flip the grid over so that the flesh side is now above the coals and cook for approximately 3-5 minutes until almost done. When the fillet looks 95% cooked remove from the heat as it will continue to cook once taken off the coals.